A bronze foundry in Milan. 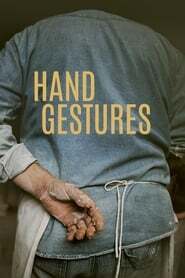 Hands that shape, knead, model, mix, repair, sand and polish. Work carried out on matter and fire, out of which the bronze figure of a dog by artist Velasco Vitali will ultimately emerge. The Fonderia Artistica Battaglia was founded in 1913 and is one of the oldest and most important artistic foundries in Italy. It produces bronze sculptures using lost-wax casting, a founding technique that dates back to the 4th century BC and is still done in much the same way today. The film draws on a purely observational mode. It is the hands and their gestures that link us to the world and create a connecting line from the past to the present.